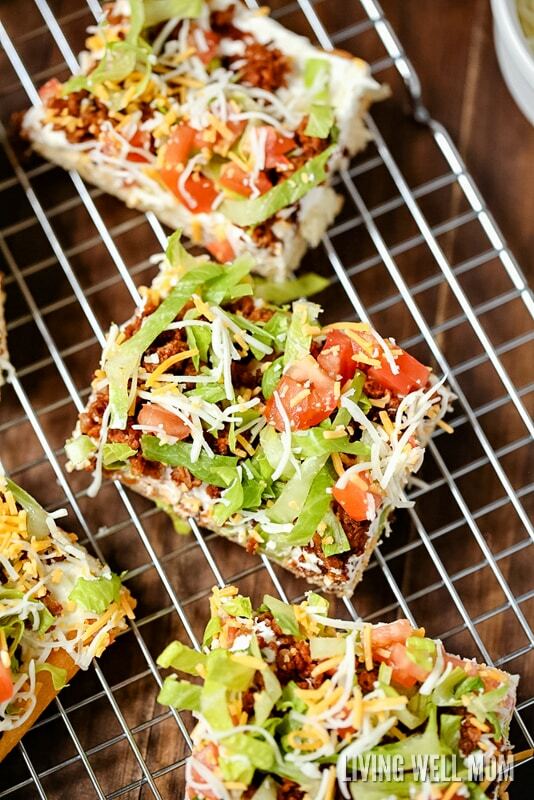 *You can change the toppings to whatever you and your family prefer on your tacos! Preheat the oven to 375° and pull out a large cookie sheet. 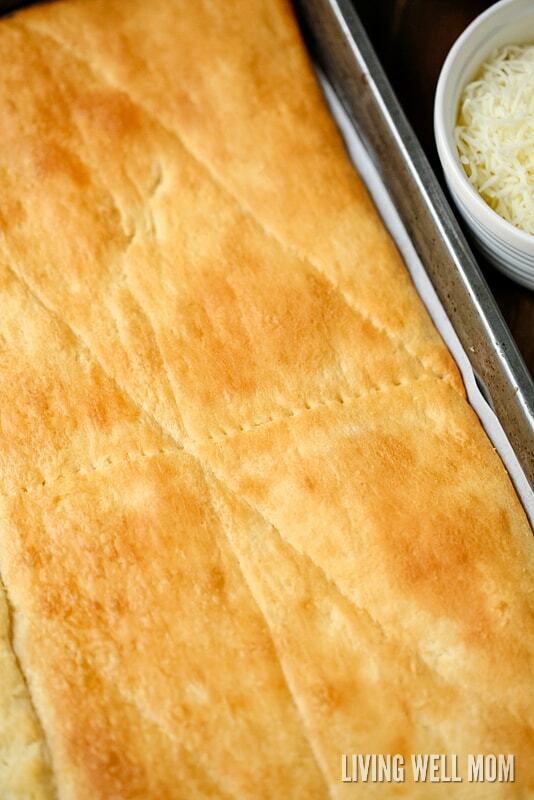 Unroll the crescent roll dough and layout on the ungreased cookie sheet. Pinch the perforations together to seal. Don’t worry about it being perfect; you just don’t want any big gaps. Bake at 375 for 8-10 minutes or until light golden brown and cool. 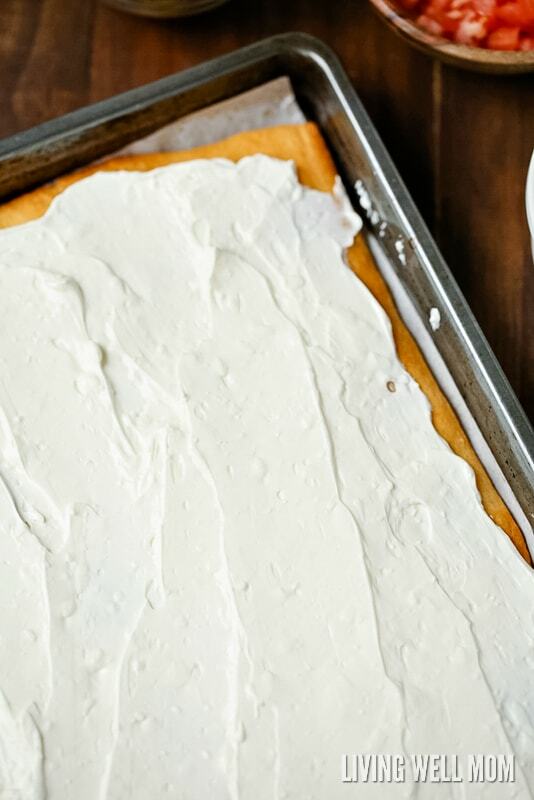 Beat together the softened cream cheese and sour cream until it’s easy to spread. Chill in the refrigerator for 10-20 minutes, while you’re working on the next step. 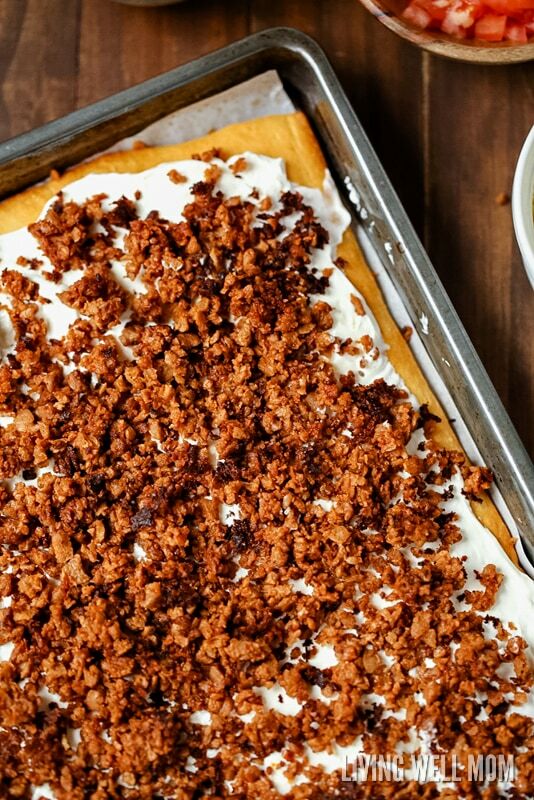 Pull the cream cheese/crescent roll crust out of the refrigerator and sprinkle evenly with the ground beef. 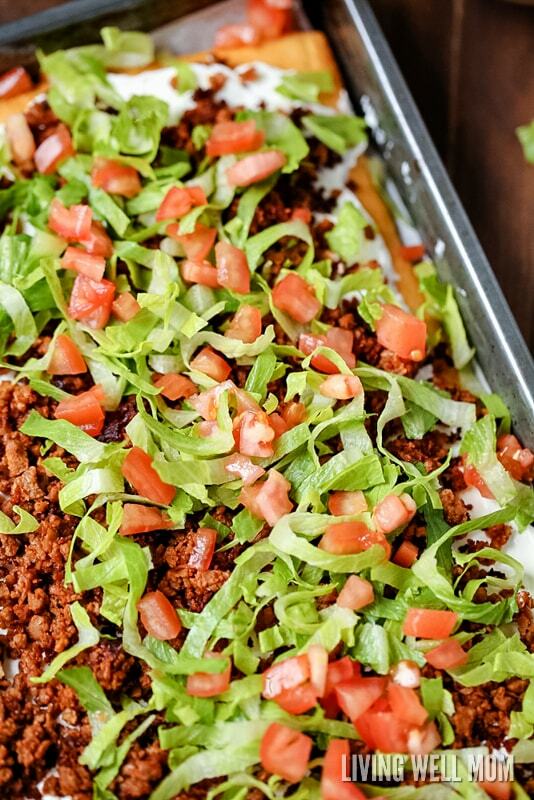 You won’t completely cover the cream cheese layer with the ground beef; there’s plenty of other toppings so don’t worry. 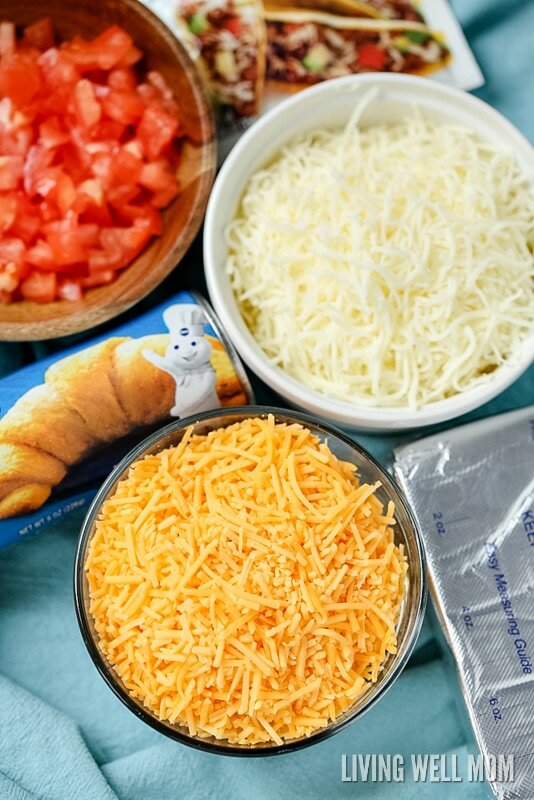 …and finally add the cheese. You can eat it with your hands. 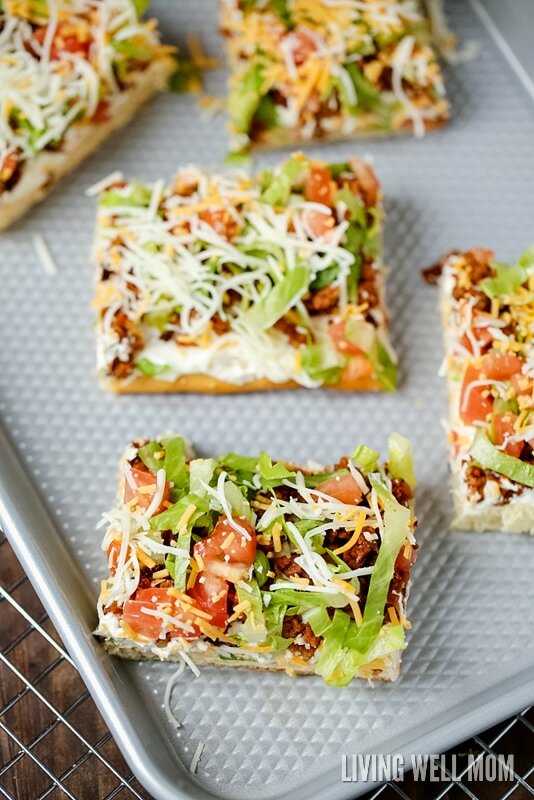 Because it is Taco Pizza after all! 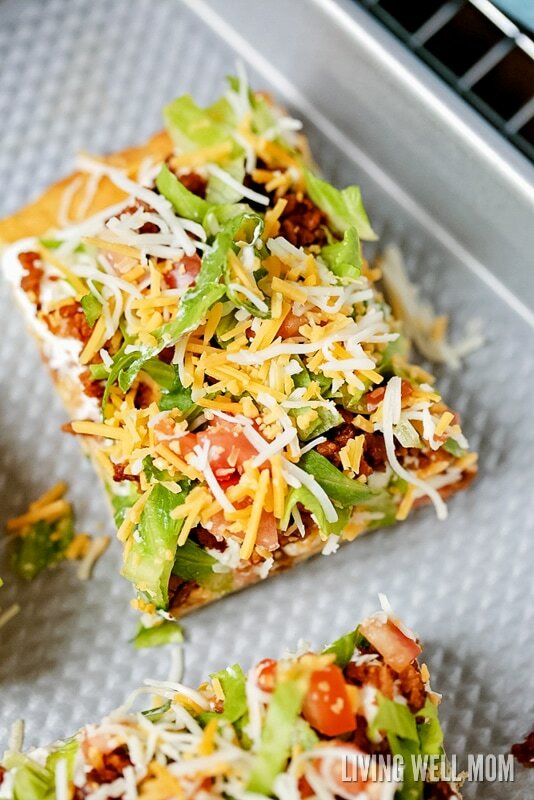 Tip: If you plan to make Taco Pizza the night before, I recommend waiting until just before serving before adding the lettuce, tomato, and cheese to prevent any sogginess. 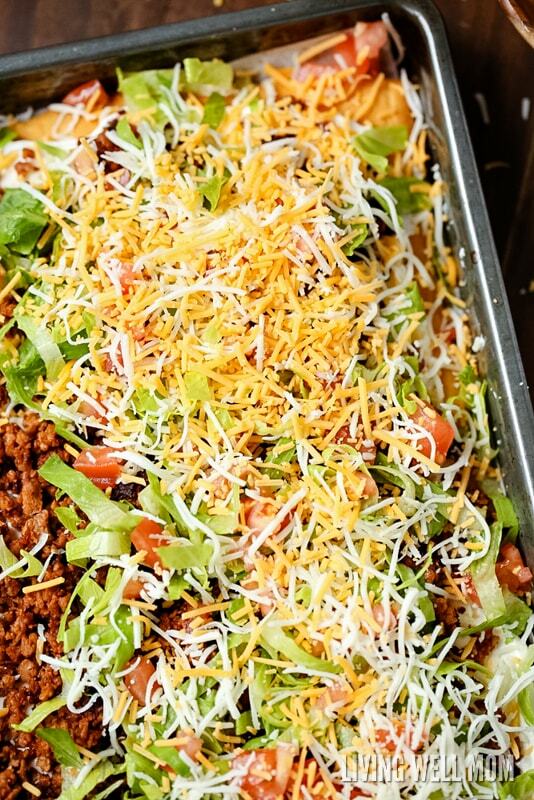 Although, I have made this recipe in the morning (complete with all toppings and covered lightly with plastic wrap in the refrigerator) and it was perfectly fine hours later for dinner. 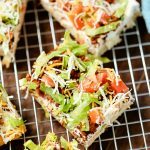 This family-favorite Taco Pizza recipe is perfect for hot summer days too since it can be made ahead of time. You could even bring it in a cooler for family outings.